FRENCH FOOD AT HOME celebrates everyday French food as one of the great culinary touchstones of our time. This series invites you to share in a lifestyle that brings the magic of French food home. Witty and charming host Laura Calder makes cooking French easy, from bistro desserts to savory tarts to scrumptious sautés.French food is, above all, a state of mind: caring about the quality and freshness of ingredients, delighting in the kitchen, and indulging in the social and sensual life of the dinner table. Laura articulates this philosophy with passion. French Food At Home will make you fall in love with French food all over again. SPICE GODDESS with Bal Arneson is a modern take on east Indian recipes that are inspired by village cooking in the Punjab. Each of these 26 episodes is an affirmation of what happens when you blend fresh wholesome ingredients with herbs and exotic spices. Having grown up in a traditional village where she learned to cook at a young age, Bal has many stories to tell about what she learned from her elders. At the heart of it all, Bal knows that creating tasty food is something any cook can achieve anywhere. She will demonstrate simple techniques to enhance flavour and to make tantalizing Indian style dishes. Join Bal as she delves into the world of herbs and spices, to show how just a pinch of this, and little bit of that, can make everyday a day to celebrate eating. CHEF ABROAD expands on the much acclaimed success of the CHEF AT LARGE series by taking viewers around the world and behind the scenes with an all-access back stage pass into the fast-paced hidden world of chefs, cooks and cuisine that most of us only get to dream about. Whether it is documenting the tension of pulling off a dinner for the Prince of Jordan or chronicling how Chefs prepare delectable meals in the frozen Arctic – CHEF ABROAD will reveal new food frontiers, great characters and offer strong dramatic moments – all gained through amazing access. CHEF AT HOME is a cooking series that inspires and empowers home cooks to improvise, venture beyond recipes, and learn how to instinctively create flavourful, simple food for family and friends. Chef Michael Smith invites you into his home kitchen and shows you how to create simple, flavourful meals for your family and friends. Close your cookbooks, look in the fridge, fire your imagination and let your instincts and appetite be your guide! 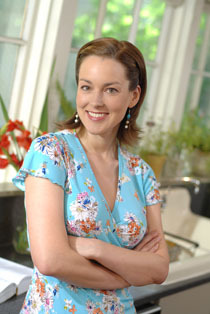 In 2006, Chef At Home’s Trevor Grant won a Gemini for Best Direction in a Lifestyle/Practical Information Program or Series. THE CHATEAU DINNER takes viewers on a journey into old world nobility and high stakes cuisine with the charming and sometimes zany host of French Food At Home, Laura Calder. This one hour special is set on the grounds of an 17th Century château in Burgundy, France where Laura finds herself embroiled in both a culinary and personal challenge of a lifetime. After being asked by the world famous Chef Anne Willan, her much loved and respected mentor, to return to Cuisine de La Varenne to assist in a very special event Laura finds out she may have taken on much more than she bargained for. Featuring counts, countesses, and Michelin-starred Chefs The Château Dinner is witness to Laura’s debut as a teacher and mentor in a heavyweight event where everyone stands to lose. THE FOOD HUNTER Join host Pete Luckett, a witty, wisecracking Englishman and THE definitive authority on produce, in The Food Hunter. Watch Pete as he whisks viewers away to 19 exotic corners of the world, exploring the origins of our food and sharing his mouth-watering experiences. The Food Hunter gives you the dirt on fruits, vegetables, and everything in between. From charming villages and bustling markets to picturesque farms, The Food Hunter gets to the “root” of the matter. Each episode features a specific country, exploring and sharing the origins, history and customs of a unique food item. In 2004, The Food Hunter’s Pete Luckett won a Gemini for best host in a lifestyle/general interest or talk program or series. CHEF AT LARGE is an all-access backstage pass to the fast-paced hidden world of chefs and cuisines. Chef Michael Smith is on the adventure of a lifetime as he travels to meet other skilled chefs, investigates their amazing and diverse kitchens, and documents their unique and challenging worlds. CHEF AT LARGE presents a creative and insightful exploration into culinary culture. Join Chef Michael Smith as he visits and explores everything from Fighting Hunger in Washington DC, to a Wedding Cake Masterpiece by Thomas Haas, to Las Vegas Cuisine behind the scenes at the Bellagio. RED HOT & READY is a sizzling half hour of cooking television. Hot Dogs and Hamburgers, step aside! We’re throwing some shrimp on the Barby, grilling up some veggies, and even roasting a whole pig. The culinary rite of grilling and barbecuing is taking back the backyard – it’s a guy thing. Join host Chef John Pritchard for some time-honored grilling secrets, space-age technology, and killer culinary comedy. He’s serving up the ultimate how-to for those who love to Barbecue. THE INN CHEF is like nothing you’ve ever seen. The knowledgeable and quick-witted approach of Chef Michael Smith, engages fans of all ages, all types of cooking backgrounds, and even the most discerning palates!The live energy of the working country restaurant, the simple but elegant dishes and the scenic beauty of the story locations all contribute to a show leaving you hungry for more. From The Inn at Bay Fortune and a variety of locations throughout Prince Edward Island and Nova Scotia, Canada, The Inn Chef creates imaginative and artistic menus catering to the connoisseur, the traveller, the comedian and just about anyone who loves food. MOUNTAIN MAGIC Chef Michael Smith is having his dream Christmas in the Rocky Mountains! His friend David Garcelon, the chef at Jasper Park Lodge, has invited Michael to join him cook up a delectable Christmas dinner. It’s a perfect winter getaway with good friends, good music, and above all, fabulous food! Mountain Magic is an entertaining one-hour Christmas special shot at the Jasper Park Lodge, Jasper, Alberta. Nestled in a valley surrounded by the majestic Rocky Mountains, with its rugged terrain, Jasper is one of the most visually spectacular places in the country. It is an appropriate setting for a Christmas special, celebrating both Canada and its food. SATURDAY NIGHT In this special, the audience follows Chef Michael and his ‘Team Cuisine’ from the moment he wakes up, through to the late hours of Saturday night – the busiest night of the week. On a typical Saturday, Chef Michael dives headlong into a hurricane of activity; trips to the market, adventures at sea, meetings, wine tasting, cell phone calls, emergencies, and, of course, wining and dining. ‘Saturday Night’ features some of the fine and not so fine moments of fine dining. Most of all ‘Saturday Night’ is an examination of Chef Michael Smith and what it takes to be a chef extraordinaire.